My child has less than a week of school left before spring break begins for ten glorious days, and I'm very excited for the free time that we'll have to spend together as a family. I'd be lying though if I said I was fully prepared, or that I wasn't scrambling for a few more activities to fill those days. The camps are booked per day and it comes to $99.99 per day of camp. Camps can be booked on the Friday, March 22nd and through the whole week from March 25th - March 29th. Please visit the WinSport website for full information or to register your child for camp. Register the kids for a day camp at Canada Olympic Park and watch them learn a new skill or two! I will never forget the day I first skied down the 22 foot super halfpipe at WinSport last spring with my 9 year old son. My son and I were riding up the chair with a couple young boys who told us how much fun they were having skiing the halfpipe. They assured me it was easy, and that we should try it. - and so we did! We followed them down (something I recommend doing if you aren't sure how to actually access the top of the halfpipe, just follow any group of teens off the Legacy Chairlift) and I'll admit that it was a bit intimidating looking down from the top. Once I dropped in though, I realized two things. One, you don't have to get air or ski up on the sides of the halfpipe. Two, you can just ski straight down the middle (it feels like you're dropping down a big canyon) and it's plenty wide for doing turns. For beginners, take an intro skiing or snowboarding lesson! Nothing fancy, not saying you have to jump into the halfpipe, just sign yourself or your family up for some lessons and give it a try! If you're a skier, sign up for a snowboarding lesson. If you snowboard, sign up for a ski lesson. Who knows, you might like it! 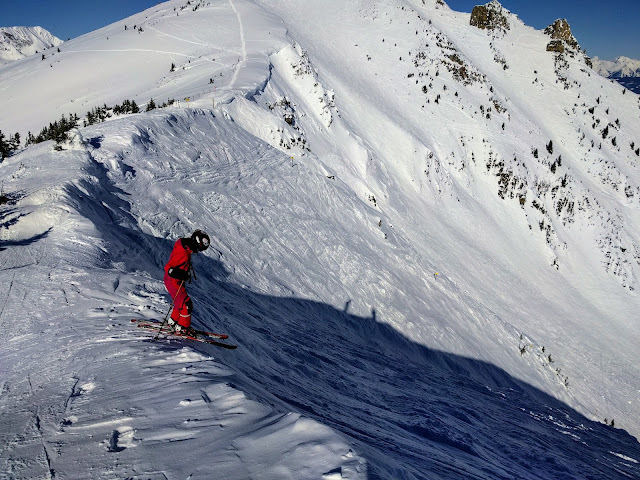 If you can confidently ski or ride a steep groomed black run, try skiing or snowboarding down the Junior Slopestyle Line through the West Terrain Park. You don't have to actually hit the jumps! Just ski/ride up and over the big bumps and enjoy the thrill of dropping off the top of each one (It's quite exhilarating!!) - and this is located right beside the 22 foot halfpipe so you can devote an hour to trying both from the top of the Legacy Chair. Work your way up to steep groomed black runs by skiing or snowboarding the Alpine Pitch off the top of the '88 Express Chairlift. It always gives my heart a bit of a jolt when I first drop down the steep pitch, but I love it and do several laps down here every time I visit the hill. Try out the beginner moguls at the bottom of the Alpine Pitch (just above the beginner area.) There's a very small area of bumps, and it's convenient if you're skiing or snowboarding with kids who want to try them (even if you don't!) I follow beside on the main run while my son skis them - and we each get a unique ending to our run down from the Express Chairlift. You can see a map of the ski hill here if you want to learn more about the different features you can try on the hill. 3. 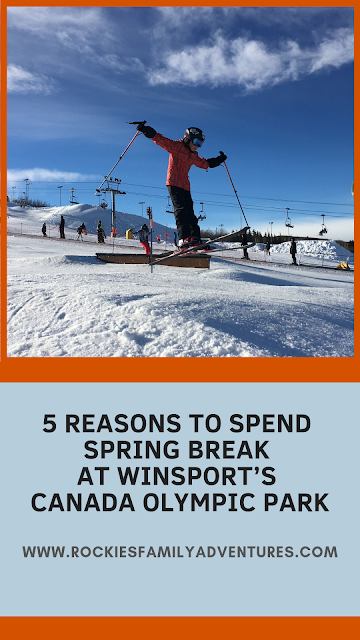 WinSport's Canada Olympic Park is more than just a ski hill! If you're interested in tubing, you can check out the schedule and pricing here. Yes, just like the ones in the Olympics! - and I personally tried the luge which was a lot of fun, and is an activity children can try as well if they are over the age of 8. If you want more information, follow this link for Winter Activities at WinSport. WinSport closes for the season on March 31st, but there are several cool events happening over the next two weeks. Ski for just $12 between 3-9pm on March 20th. 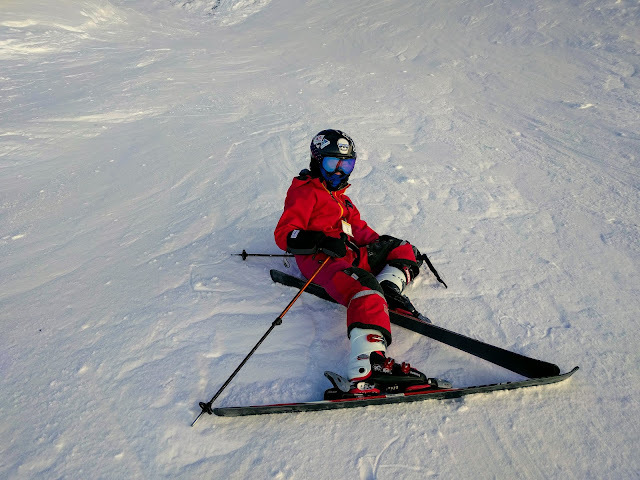 Here's another opportunity to take the family to WinSport for the day and to watch some incredible athletes showing off their skills, this time in skiing. This is one you can actually register the kids for! Women’s skiing: 1 p.m.-2 p.m.
Men’s snowboard: 2 p.m.-3 p.m.
Women’s snowboard: 3 p.m.-4 p.m. If you want to register, follow this link. If you just want to show up and be a spectator, you don't have to do anything other than show up, ski or ride, and have a fun day at the hill. Information on all events can be found here. And while it's perhaps a little bit late in the season to buy these (since the hill closes on the 31st,) it would still be worth it if you had teens who needed something to do over spring break. - and it's worth remembering for next year!! I myself had no idea that WinSport had spring season passes. More information on spring season passes can be found here. Disclaimer: This post was not sponsored, but my family has partnered with WinSport this winter and has received benefits including free skiing. As always, all opinions are my own. First of all, why am I publishing a review for ski boots in March at the end of the ski season? Because if you haven't started skiing yet this winter, NOW is the time to start. 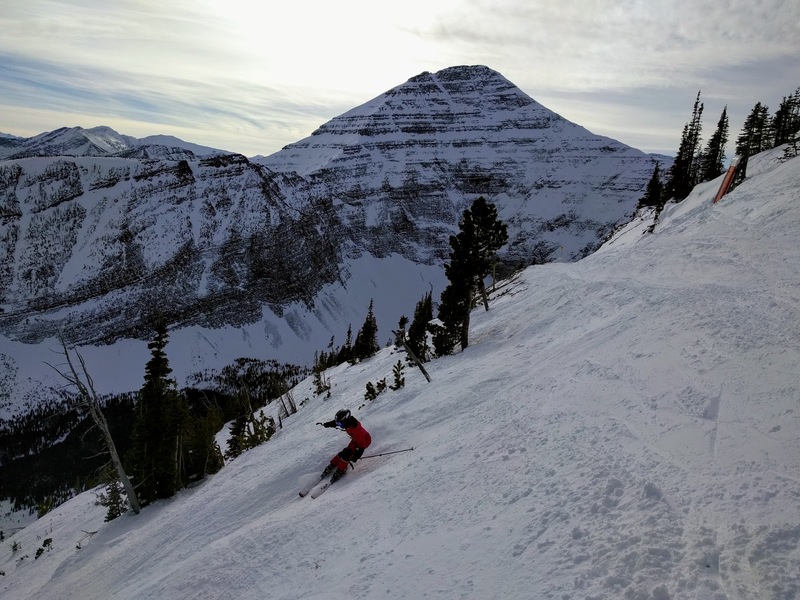 It's spring and that means warm weather, sunshine, extended lift hours, slopeside concerts, deals on overnight resort stays, and even spring ski passes for cheap skiing! It's spring and the best skiing is still to come! Now if you haven't done much (or any) skiing yet this season, chances are the kids' boots won't fit! They can probably make do with last year's skis for a trip or two, but boots need to be purchased annually - or do they? I could tell you all about why we love our son's Roces ski boots, and how much I'm going to love them next November when I don't have to go shopping for another pair!! 1. 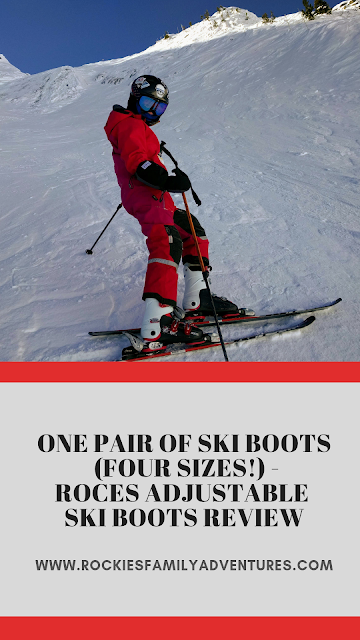 Why is it so important for you to carry the Roces Adjustable ski boots for children in your online collection of ski gear? Roces was one of the original companies that made us think about opening a kid specific outdoor store. When we first discovered these boots, we had to order them out of the US, and we thought to ourselves: "Why are these not easily available in Canada?" Last year the Canadian distributor stopped carrying them so we almost lost them again in Canada. When we were searching for a new distributor, the Roces main office in the US offered to sell direct to us, which was great, but now we were responsible for the shipping and customs, which significantly raise our cost on the boots. We seriously considered not bringing them in, but in the end I knew we had to keep them available in Canada for families like ours. As it turns out, I think we may be one of the only places to order them online in Canada. 2. Why do you swear by these boots so strongly for families? 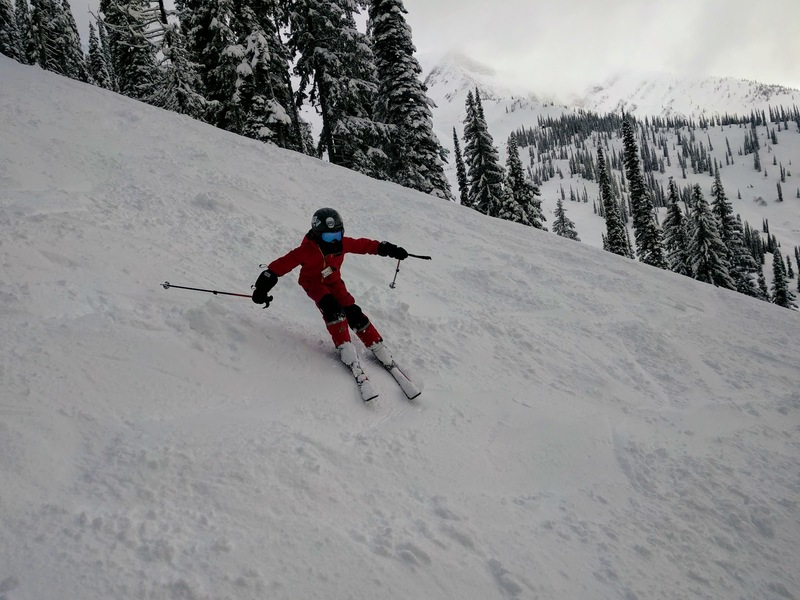 Skiing is definitely not a cheap sport, so really anything that can bring down that cost is great, especially when you are trying to ski as a family and have growing kids! The Roces ski boots mean your kids can keep the same boots for 3 to 4 years instead of buying new ones every year. As an example, one of my friends who has three girls was trying to pass down the regular ski boots his oldest daughter was outgrowing, but almost every year the boots would be just slightly too big or too small for his younger girls and he would end up going out and buying new boots. Now he has all three girls skiing in Roces and is super happy with them! My son will be wearing the same pair of ski boots until he's my size! 3. Do your own children wear these boots? Yes, both my kids wear Roces boots. We had regular ski boots for the first year or two with my son (age 9) until we discovered Roces and since then, he has worn nothing but Roces. My daughter (age 7) has only worn Roces. They are a good ski boot and we definitely didn't want to be in the "buy new ski boots every year" cycle. When we go skiing as a family I am always ecstatic when a parent notices my kids' boots and asks about them! It's kind of funny when we go skiing, and I am always so tempted to stop other parents and ask: "Hey have you seen these adjustable ski boots! They work great and will save you some money down the road!" And it's not to try and just sell more ski boots, but it's because I think most parents would love them if they only knew about them! 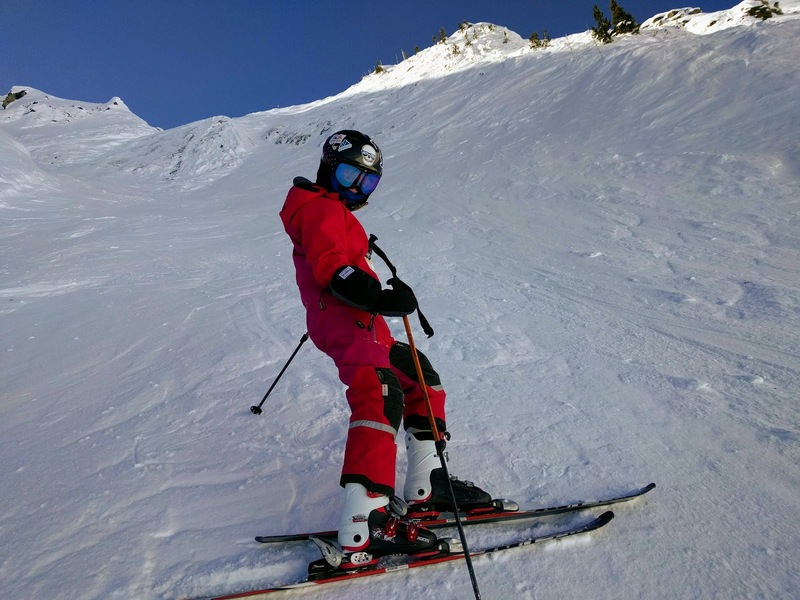 "Most parents would love Roces ski boots - if they only knew about them!" 4. Do you get concerns from families that think an adjustable ski boot will be “cheap” or “gimmicky” and that it won’t perform as well as a regular ski boot? We do get a few people contact us, but I think there are more people that probably just dismiss them without looking into them a bit further, which I think is a real shame. We usually let people know that we use the boots ourselves and would not be selling anything we did not personally use or believe in. I also tell people that no matter where they look, they will have a very hard time finding any negative reviews about the boots. Almost all the time the reviews are incredibly positive. You don't ski double black chutes in "cheap" or "gimmicky" boots! 5. How do you find the Roces boots compare with other high end brands available on the market? We always keep our eyes out for different gear on the market and do test different things from time to time. Really, the Roces are just as good as most of the other mainstream kids' ski boot companies, plus they have extra little features like micro- adjustable buckles which a lot of kids' boots do not have. We unfortunately tried the adjustable skates (not the Roces brand), and although the idea is still good, the ones we had were actually really bad in my opinion, and we have only bought traditional skates since then. The unfortunate thing about bad adjustable products like that is then some people associate all adjustable kids' gear to be the same low quality, but in the case of Roces this is not true. 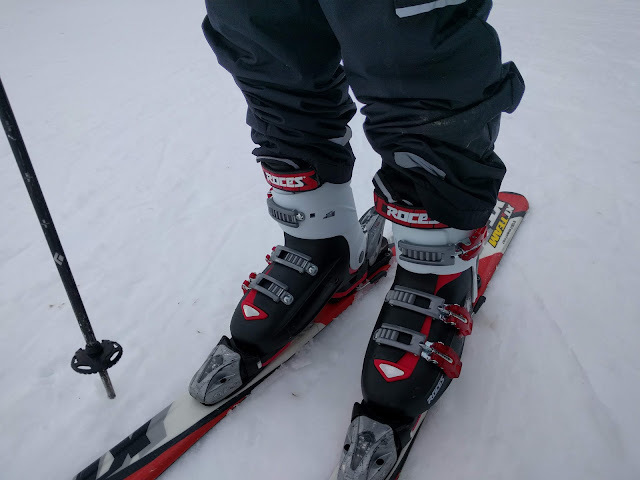 My son started skiing in the largest Roces ski boot last year, the Roces Free size 4-7, and they are a step up in performance for sure with a three buckle design with a power strap. That being said, all of them are designed to have enough performance for the average skier at their respective ages. Each bigger size of boot has a bit more performance. I would personally say they are suitable for all levels of skiing, but I wouldn't recommend them for racing as racing boots tend to fit quite tight and are generally stiffer than normal recreational ski boots. No matter the level of skiing, Roces adjustable ski boots perform! 8. For little kids just starting out, what’s the best thing about the Roces boots? In general they are a bit wide and are quite comfortable for kids. They also come in multiple colors which is kind of nice as well. The biggest benefit (mostly for the parents) is being able to keep the same pair of boots for multiple years. 9. What other selling features can you describe for these boots? Besides being adjustable for length, they have micro-adjustable buckles which a lot of other kids' boots do not have. I seem to use this feature almost every time we go skiing and can't imagine not having them. One of the other great features that we are asked about, is that the actual sole size that goes into the bindings does not change. So what that means is that when you make the ski boots bigger or smaller, they still fit into the same bindings without any other changes. They also have a memory foam liner, and having multiple colors is nice. 10. How do the boots perform for comfort and warmth? In general I would say they are about the same as most kids' ski boots. They are possibly a bit wider than some, which helps fit a wider range of kids and gives extra wiggle room for their toes. My son, age 10, has transitioned from skiing easy black runs, carefully picking his way down small bump runs, and moderate speed on groomers to skiing double black chutes this winter - in his Roces ski boots. I think that speaks for itself that the boots are not holding him back, that they perform the way they need to, and they are not just a cute little "beginner boot." My son has also learned to put the boots on by himself this winter, fully tightening them and doing them up with no assistance from us. I consider that a victory too. Ready to buy a pair of Roces adjustable ski boots? 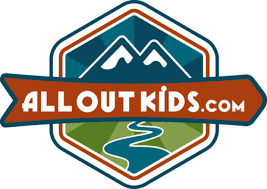 All Out Kids Gear has been a great company to work with and my family personally uses their services to outfit our son with skiing, climbing, biking, and backpacking gear. The company is based out of Red Deer, Alberta, and I love that we are shopping local and supporting an actual family (rather than some big corporation.) 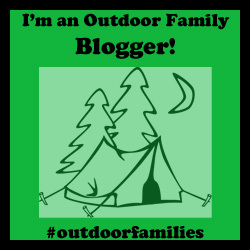 I can follow All Out Kids Gear on social media, see what their family is up to, and know that I am helping fund those adventures with my support - which is very cool! Read more about Roces boots, check out the sizes and colors, and order a pair for your kids. 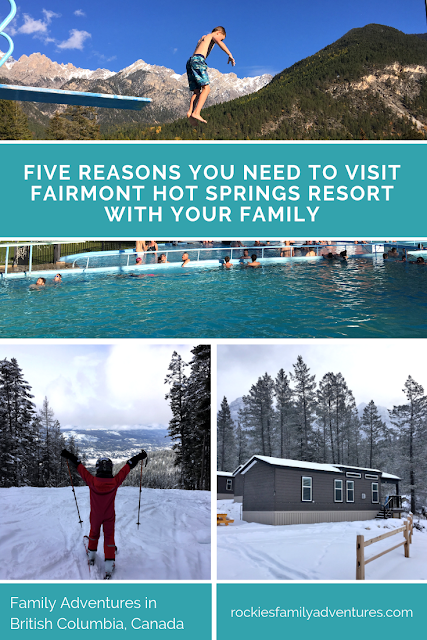 My family has spent a lot of time at the Fairmont Hot Springs Resort over the years and it's always been one of our favourite places to spend a day while exploring in the East Kootenay Rockies of British Columbia. Recently we got the opportunity to experience "winter at the resort" with skiing, tubing, and deluxe cabin camping. 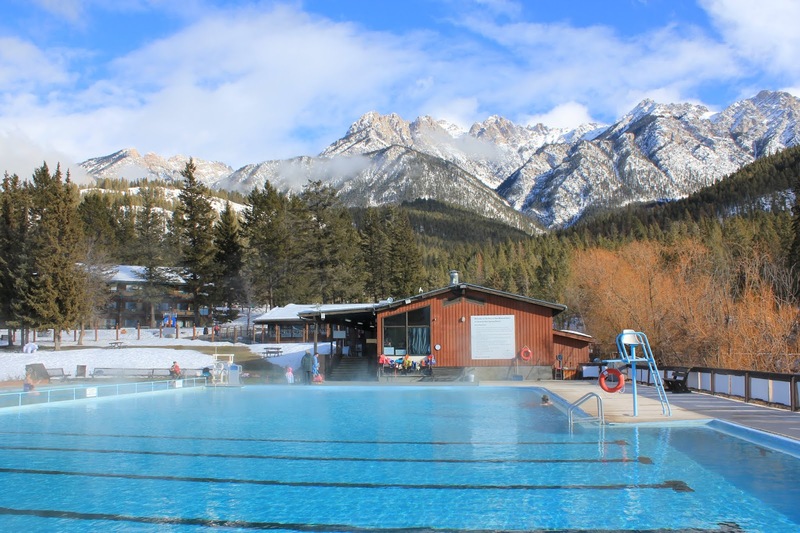 Winter or summer, Fairmont Hot Springs is a vacation wonderland for families and you have to experience it yourself. Fairmont Hot Springs is located in the Columbia Valley between the communities of Radium Hot Springs and Invermere to the north, and the City of Kimberley to the south. From Calgary, the drive is just over 3 hours depending on where you live. It's easy enough to reach Fairmont on a Friday after work, and the drive is doable for a short weekend, returning to the city Sunday afternoon. One. The Hot Springs (of course!!) - some of our favourite in fact! It's no secret in our family that I love the Fairmont Hot Springs pools and that we will be visiting the resort (no matter where we stay in the Columbia Valley) for at least an afternoon. They are hotter than the ones at Radium Hot Springs. And while I do love Radium Hot Springs in the summer, they just aren't hot enough for me in the winter. And, my personal favourite reason - there's a small shallow "hot tub" in the centre of the hot pool that's a few degrees hotter than the soaking pool. (So don't just plop your babies here.) What you want to do is lie down with your head on one side of the small pool, your feet on the other side, eyes closed, dreaming you're in Mexico. AND, if "natural" is more your thing, make sure you check out the Indian Baths, a short walk up the hillside from the Fairmont Hot Springs parking lot. This historic bath house and small bathing pools were popular with early settlers and explorers in the Columbia Valley. We recently spent a weekend in one of the new deluxe cabins (open year round,) located beside the resort in the campground. And lest you think you'll be "camping," these cabins are pretty comfortable. 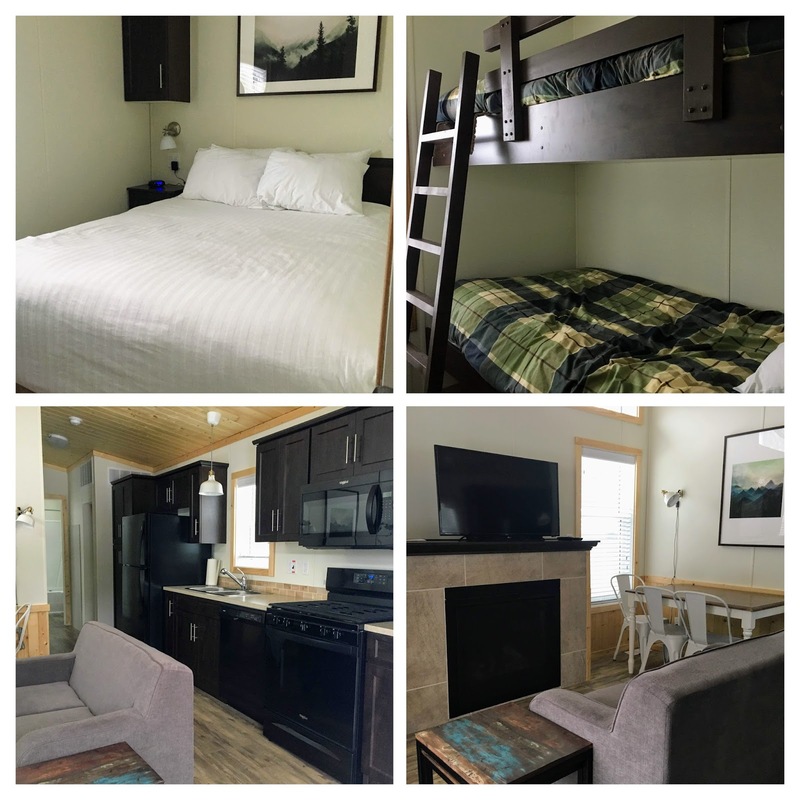 Each cabin has a kitchen with a full sized fridge, a dishwasher, microwave, Keurig coffee maker, stove and oven, and everything you'll need for your family's needs. There's also a barbecue located on the deck of each cabin. Going one step further, the TV also has Netflix on it so you can hang out on the balcony with your glass of wine while the kids are happily entertained. Spend a few nights in one of these comfortable cabins and wake up to deer grazing outside your door. Start your day with a short walk over to the main lodge for a cup of coffee from Steamers Cafe or enjoy weekend brunch at the Antler's Restaurant. After that, you'll enjoy your proximity to the hot pools which you can easily reach in your bathrobe (adult robes provided in each room.) - bring your own bathrobes for the children. And when you get tired of cooking, there's a great family-friendly lounge, the Bear's Paw Bar and Grill, in the main lodge. The pizza is incredible so I highly recommend at least one meal here. Juniper Lodge rooms (with kitchenettes) - they sleep up to 4 people and some are dog friendly. * All stays include access to the hot pools during your visit including a private hot pool for resort guests only. ** Many of the cabins and cottages work very well for groups or family reunions. Book a bunch of rooms or cabins side by side, bring your lawn chairs, and you can hang out on the lawn visiting while the kids run around and play. For more information, please visit the Fairmont Hot Springs Resort website. 3. Ski and Soak! Downhill Skiing + Hot Springs for the Win! 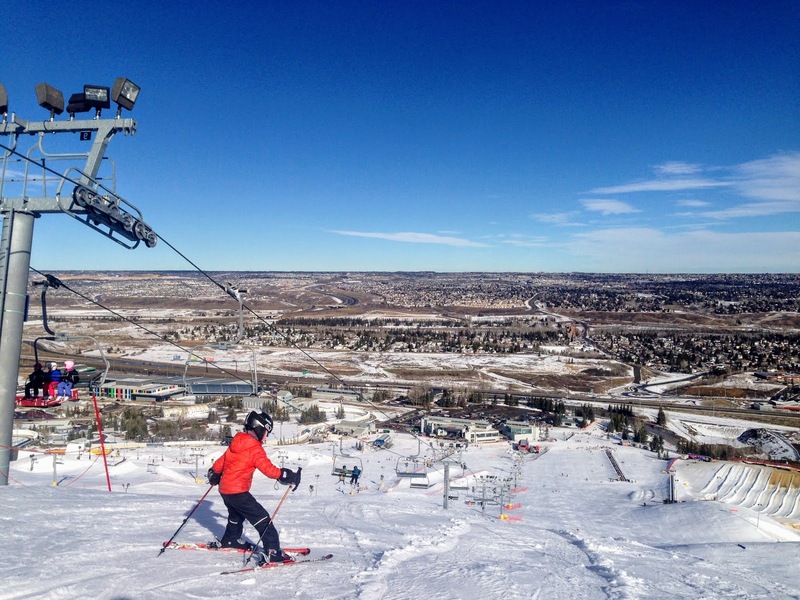 Spend your day at the Fairmont Hot Springs Ski Area and then enjoy the best family après-ski experience in the Rockies! All lift tickets for the ski hill include complimentary entry to the hot springs at the end of your ski day - perfect if you're not staying at the resort since guests already get access to the pools. We spent a day at the ski hill on our recent visit to Fairmont Hot Springs and I was impressed by this "cute little ski hill." The resort has a total of 13 runs ranging in difficulty from green to black, two terrain parks, and a tube park. There is one triple chairlift which we used most of the time, but my son also liked riding the Happy Trails Platter Lift by himself and skiing the short easy runs off this beginner lift while I'd warm up in the day lodge with a coffee. 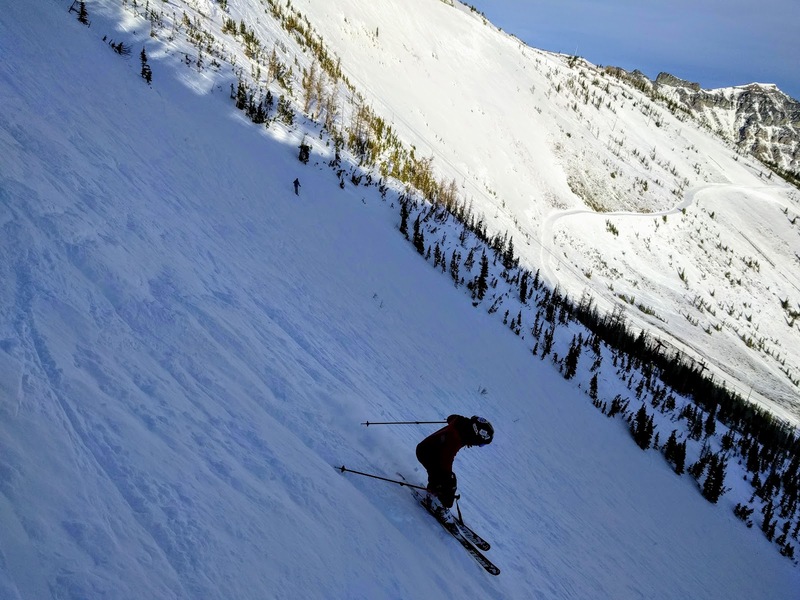 While the resort only has a vertical of 304 metres, it's a great hill to learn on, it's affordable for families, and the longest run is 1.5 km long - which isn't bad for a beginner skier making his/her way down a mountain. Most of the runs were groomed but skiers wanting more of a challenge will find it on the black runs where we definitely found moguls, glades, and the "real deal" for downhill skiing. 4. Bike, Hike, and Soak from April through October! Summer comes very early to the Columbia Valley and you can be mountain biking on dry trails by mid to late April! There's even green grass by that time. We also come out for Thanksgiving in October because it's definitely still warm and we can even camp. Some of our favourite family-friendly mountain bike trails are located near Fairmont so we always come out here in the spring and fall when it's not quite as hot. First, you have the hot springs, the ski area, biking and hiking trails nearby, Lake Windermere just a short drive away if you want a beach day, several golf courses in the area, and the Columbia River flowing through the valley for great paddling (or tubing in the summer.) In the winter you can also go ice-skating on Lake Windermere, the world's longest skating path with several loops to choose from. 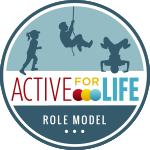 Add to all of that, the Fairmont Hot Springs Resort also has a full activity program run by the "Activity and Experience Centre." On our recent visit, we could have registered for a family yoga class, participated in a starlight challenge at the ski hill, or watched a family movie in the new games room the lodge has set up in the basement. - and this was all on Friday night alone! There were other activities running throughout the weekend. Every day the lodge offers a fully equipped games room, grab and go craft bags, scavenger hunts, snowshoe rentals, and ice skating in the winter. Add s'mores nights on the Bear's Paw Patio, family activities and challenges at the lodge or at the ski area, cookie decorating, face painting, and more! There's always something going on - and most of these activities are included with your stay (no extra cost.) 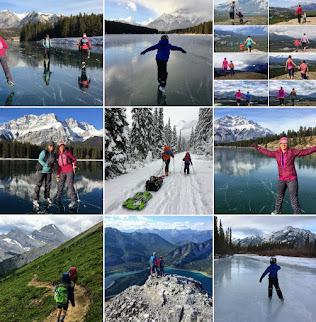 - note that there is a charge to rent snowshoes. Note there are additional charges for most of the activities above and some of them are not guided by the resort. The Activity Centre will connect you with your tour operator though and make reservations for you. 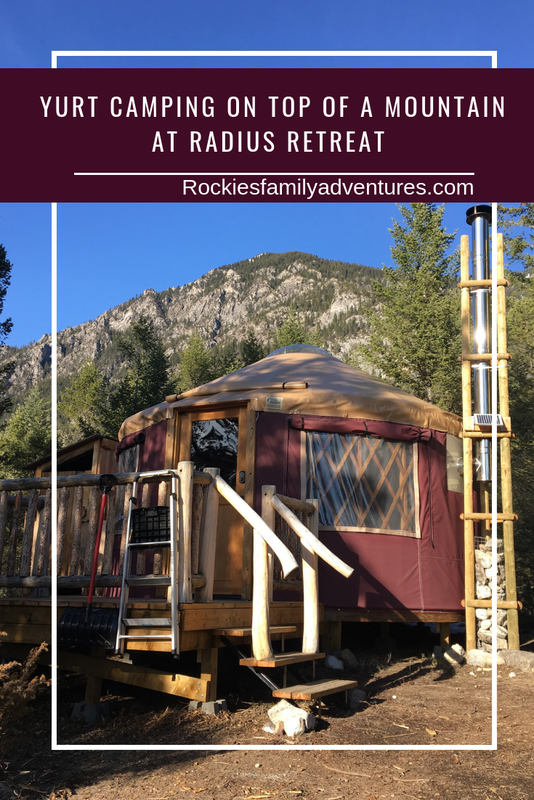 Disclaimer: My family was hosted on our recent visit to the Fairmont Hot Springs Resort. Also please note that we have not tried all of the activities mentioned in this story (yet.) It's an ongoing mission of ours to explore every corner of the valley but it's going to take us a few years yet to try everything.